I had the honor to join Puratos one fine saturday in its factory located in Bagumbayan, BGC with fellow other bloggers. It was a special event because Puratos' travelling chef Dirk De Vriendt was there who did live demos about how is it easy to whip up some favorite sweets, breads and pastries using its products. In fact, making a single cake base from scratch needs 9-11 ingredients for 10 - 15 minutes of preparation. With Puratos it only takes 2 minutes and you only need 4 ingredients: eggs, water, oil and Puratos Cake Mix. For cave lovers out there, you'll love it more because Purato cake mixes has Acti Frsh, a cake improver that prolongs the freshness and moistness of the cake guaranteed you're eating the best quality of this kind! Here's a number of what you can do using Patiserrie mixes of Puratos: Tegral satin moist golden cake, red velvet cake, chocolate cake, creme cake, creme cake chocolate, creme cake toffee, daily muffin, sponge, fudgy brownie and butter cookie. 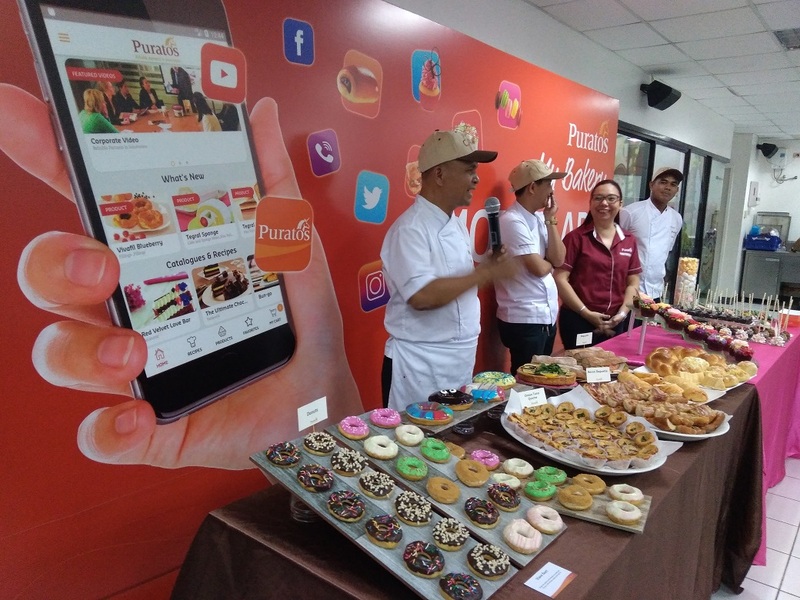 During the event, Puratos has launched a mobile app for people who loves to bake, business owners and even those who sell retail baking ingredients. Simply called "My Bakery", it acts as your virtual best friend for your baking needs. You can order any products of Puratos from the comforts of your home and have these delivered straight to your doorstep.